If you live in the York Haven area, and require the assistance of a professional technician who is trained to help you with a plumbing or HVAC issue, look no further than David Leroy. For a number of years, we have provided the community of York Haven with cost-effective and reliable services. Through only employing trained and experienced professionals, we provide our customers with a satisfaction guaranteed service. With emergency services available 24/7, David Leroy is always your best option when it comes to repairs, installations, and maintenance in your home or office. At David Leroy, not only do we offer services such as sump pump repair, water heater installation, and drain cleaning, our full-service company is up-to-date on all the latest techniques and equipment. This allows us to better serve our residential and commercial plumbing customers. It doesn’t matter if you’ve endured a leak, had to deal with a broken faucet or require installation, we are your go to professionals. 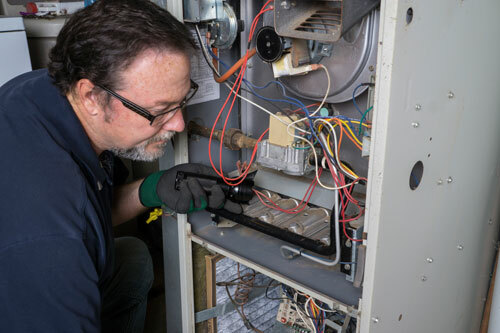 If your air conditioning unit needs to be repaired, we can help. Even if you require our assistance in the middle of the night, our 24-hour service means that you can contact us at any time. With all staff receiving up-to-date training on a regular basis, you can rest assured the services you use us for will be reliable and cost-effective. There’s no need to fork out lots of money to have your heating repaired. We, at David Leroy, will always strive to provide you with a professional and cost-effective service. If your heating system is broken, or you require installation of a new unit, get in touch to find out how we can help you. York Haven is a small, family-friendly town in York County, Pennsylvania. With a population of only 709, this borough maintains its small town values. It is best known as the home of the Brunner Island coal-fired electrical generation plant, located on the Susquehanna River on Wago Road and operated by PPL. For plumbing or HVAC repair, maintenance, or installations, contact the home service experts at 717-938-8214.